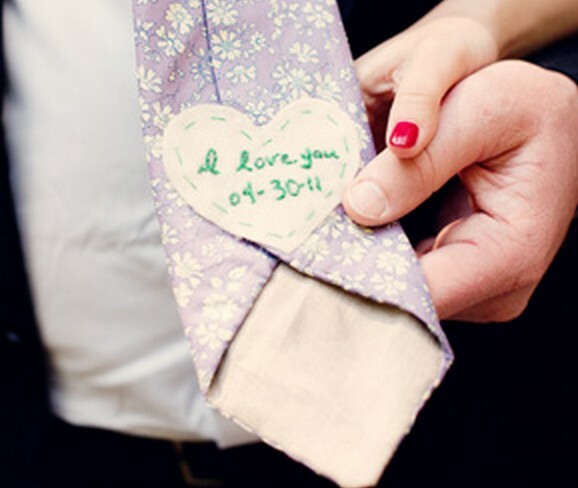 Embroider a message onto a heart-shaped fabric and sew it onto the back of the groom’s tie! See more photos from this wedding on the source. See this idea with the message embroidered directly onto the tie.